Well crafter and story rich hour slice of puzzle based gameplay that elongates the interesting concepts touched on in Never Alone. Lacks longevity or replay value though but is well worth consideration. Never Alone was a title I’d had my eye on for several months before release. The striking look and feel of the game really stayed with me after an early hands-on with the game. Almost a year on from the original title’s release we’re given a second chance to come back to this much overlooked gem. Foxtales is a new unique talel once again taken from a retelling of an Inuit tribal folk story. Here we follow the story as told by Willie Panik Goodwin, Sr. His story of “The Two Coastal Brothers” is the basis for this tale. As you might have guessed Fox and Girl are back and this time they’re waterbound. After chasing a mouse into the sea they embark on a journey that helps them realise that Nature should be respected in all its forms. The rich storytelling is once again undertaken via voice overs read by local tribes people and interspersed with short video clips, unlocked by discovering Owls around the levels. These short clips give you a wonderful insight in to a culture you’re likely to know very little about. It’s these short clips and the rich story that really keeps your interest in Foxtales, just like it would’ve in Never Alone. Unlike the main game though that mixed a lot of sprawling environments with exploration, platforming and light puzzling, Fox Tails is more like a series of puzzle rooms strung together in a cohesive environment. This give Foxtales a more disjointed feel that the main game had and it really plays more like a water-based puzzle title than an actual platformer. That said the puzzle mechanics are engaging enough for the most part, manipulating water jets, using rocks to direct flows etc. You also make much greater use of Fox this time out – likely the reason this expansion is called Foxtales rather than referencing the Coastal Brothers directly. Graphically the game seems to have smoothed out a few of the minor rough edges found in the first title and continued the strong look and feel of the series. I still can’t recommend Never Alone more highly and wish a lot more people would give it a fair try. It wasn’t perfect, yet it has a rich and reaffirming sense of storytelling that is rarely seen in most mediums let alone videogames. 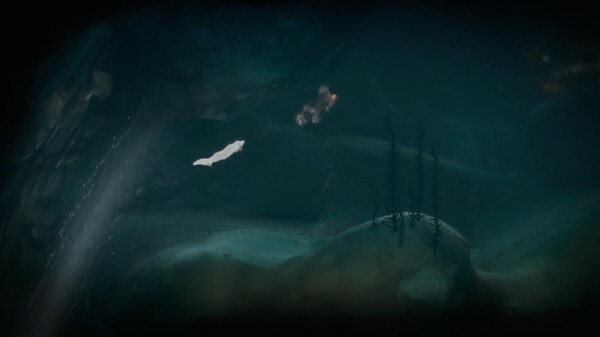 Never Alone: Foxtales is available for around £3 on most platforms and for the money you get around and hours worth of new content in the form of these puzzle areas. The new story is interesting and well told, but not to the level the original was. The game still has some of the control quirks the original Never Alone release had, and introduces a few frustrations to its new puzzle mechanics. That said, what’s on offer is thoroughly engrossing for the length of play but offers little replay other than locating missed Owls. 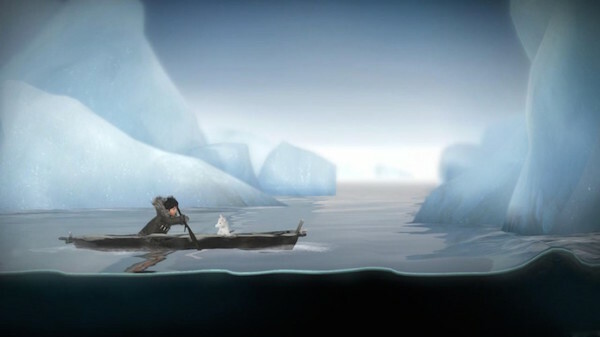 For people that have played through the original Never Alone content and want to continue their journey through this fascinating cultures stories then Neve Alone: Foxtales offers yet another well told slice of Inuit lore. If you’ve still not tried Never Alone then I’d thoroughly recommend picking up the combined pack that has this and the original in it. It’s not perfect, it’s far too short, but it does offer another interesting story. Zeth is our EU ninja and Editor in Chief. He's been writing about video games since 2008 when he started on BrutalGamer. He's pretty old and has been a gamer since he played Space Invaders as a young boy in the 80's. His genre tastes lean towards platformers, point-and-click adventure, action-adventure and shooters but he'll turn his hand to anything.